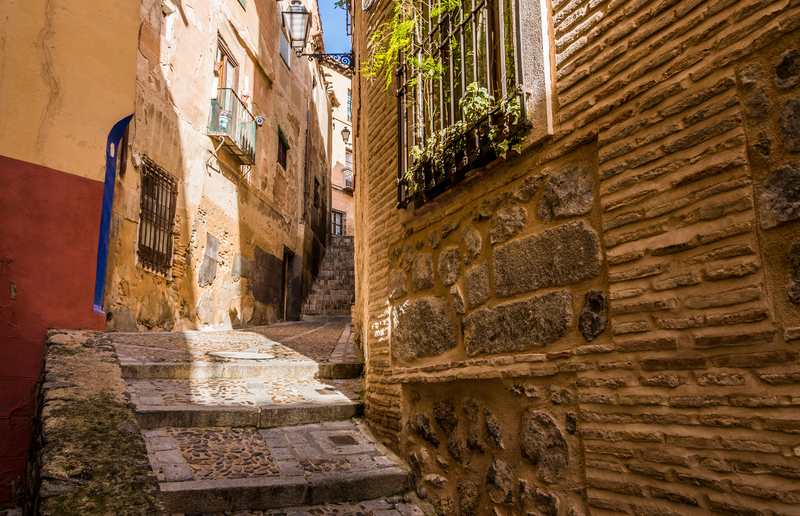 Just 30 minutes from Madrid by train, Toledo is often regarded as a quick day trip option, but spend a little longer here and discover surprises hidden in its winding streets. “We don’t need gyms in Toledo”, a local cheerfully tells me. “The city is a workout in itself.” After exploring the sights in this hilltop city’s centre, you will agree. But your efforts will be rewarded as, despite the centre being relatively small, it’s crammed with spectacular architecture influenced by the three cultures who lived together in Toledo for centuries (Muslims, Christians and Jews). There are also knock-out views over the Tagus river and a great food scene. 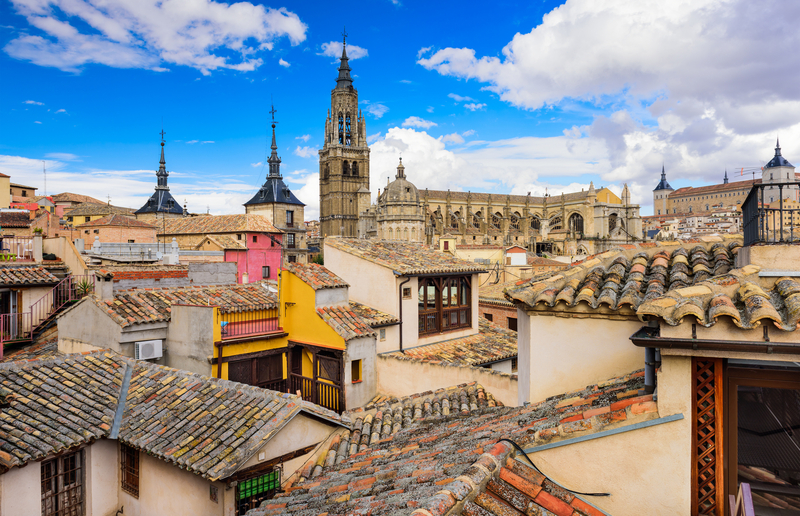 The impressive buildings and the city’s status as a Unesco World Heritage Centre are reminders of the important part Toledo has played in Spanish history. 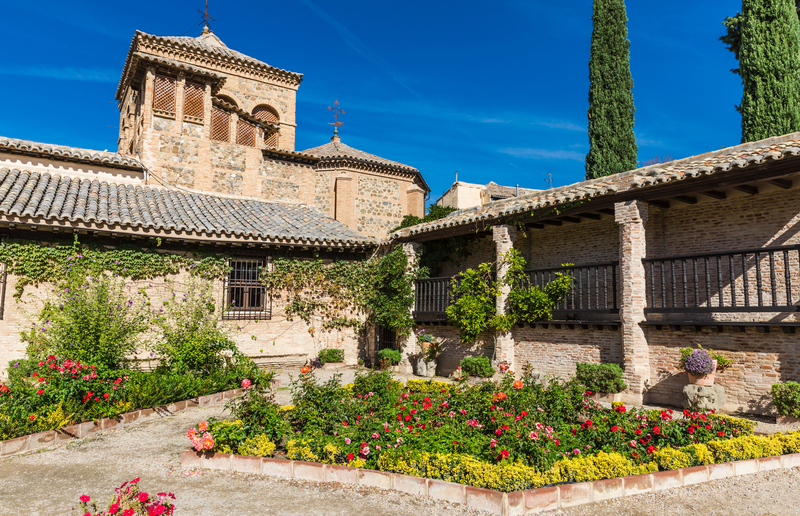 It’s been inhabited by the Romans, the capital of the Visigoth kingdom, been the imperial capital of Spain under Emperor Charles V, and the place where bold artist, El Greco, created many of his famous works. Here’s why you should put Toledo on your must-visit list. It’s inevitable that you’ll lose your bearings once in the maze of twisty lanes in Toledo’s centre – I’ve visited several times and always do. But embrace this momentary disorientation and allow yourself to be side-tracked on your way to the big sights. While looking for the busy Plaza de Zocodover, you may stumble down Calle de Alfileritos where you’ll discover a shrine containing an image of the Virgin Mary. It is believed that if single women post a pin into this, they will find their perfect partner and get married. Other worthy diversions could include a visit to the ruins of Roman baths, a couple of streets away from the Iglesia de los Jesuitas church. They can also be seen through the glass floor of a branch of the fashion chain Koker on Calle Alfonso X el Sabio. Or, make a pit stop in one of the several shops selling elaborate swords and shields, brightly coloured tiles, damascene jewellery and many other typical Spanish souvenirs. 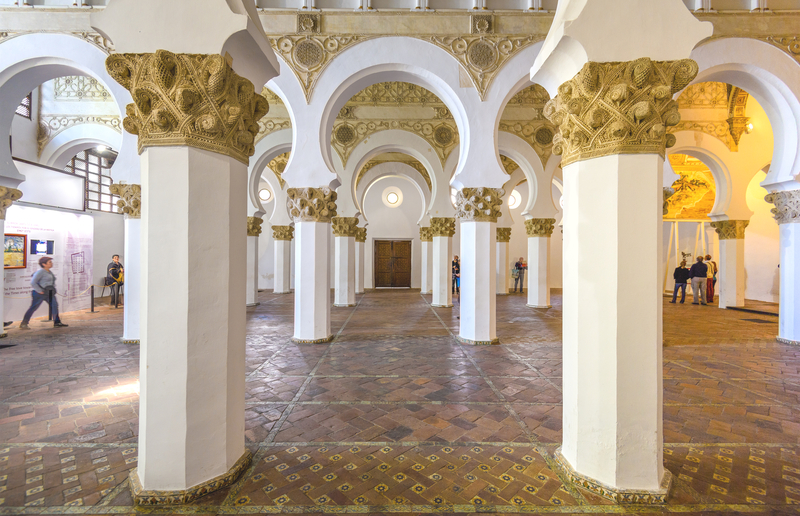 The labyrinthine streets hail from when the Moors inhabited Toledo and you’ll see more geometric Moorish architecture in the Mezquita del Cristo de la Luz mosque, which was later transformed into a church. Make sure to visit the Jewish Quarter while you’re in the city. There were once 10 synagogues but only two have survived. Both are impressive examples of Mudejar architecture (a style combining Moorish and Christian traditions), demonstrating the peaceful co-existence of the three cultures in Toledo. 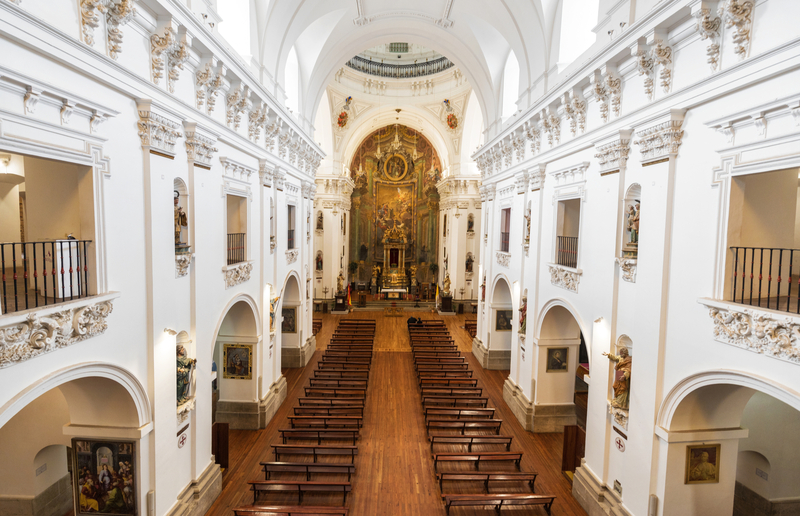 The Santa Maria la Blanca’s white pillars and elaborate carvings are particularly striking. Architecture aside, this cultural blend is still apparent today, from the local colloquial greeting, “¡Hola, alhaja!” which descends from Arabic and roughly translates as “hey, gorgeous”, to the rich flavours in the city’s food. 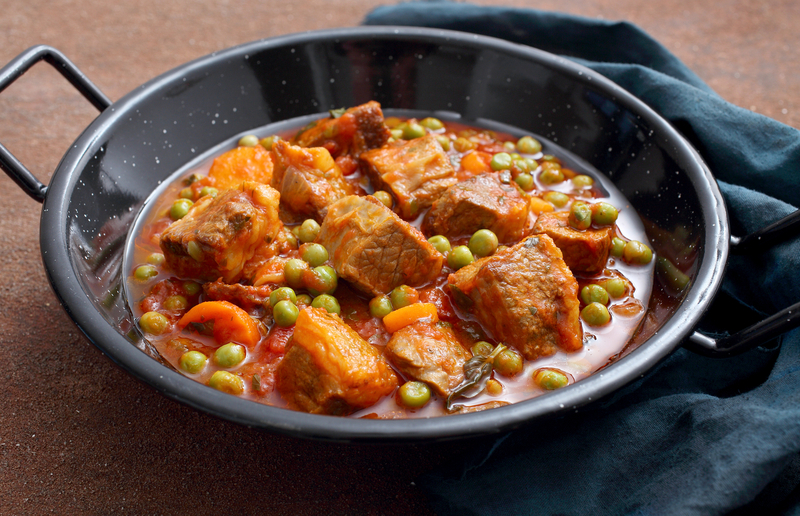 When visiting Toledo, try carcamusas – slow-cooked pork in tomato sauce with peas – as well as plates containing game. You’ll find the speciality in many of the city’s tapas bars and restaurants but seek out Bar Ludeña in the centre, favoured among locals and well-known for its carcamusas. If you have a sweet tooth, go marzipan shopping. Much of the almond-based treat is made by nuns in local convents. 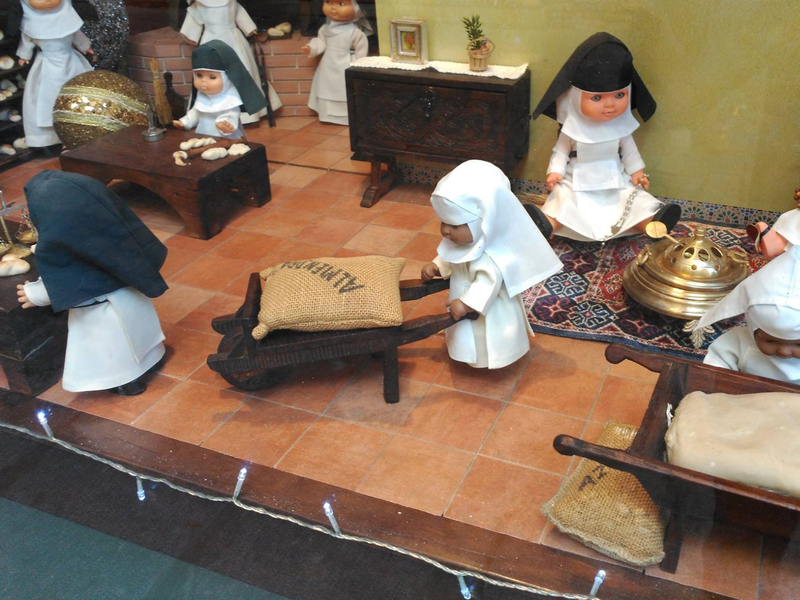 Check out the fun window display in El Café de Las Monjas which features dolls dressed like nuns making the confectionary. For a special occasion meal, consider long-standing favourite Adolfo in the centre or look up Michelin-starred chef, Ivan Cerdeno’s, new eponymous restaurant in the 11th-century Cigarral del Angel, which is set to open in February. 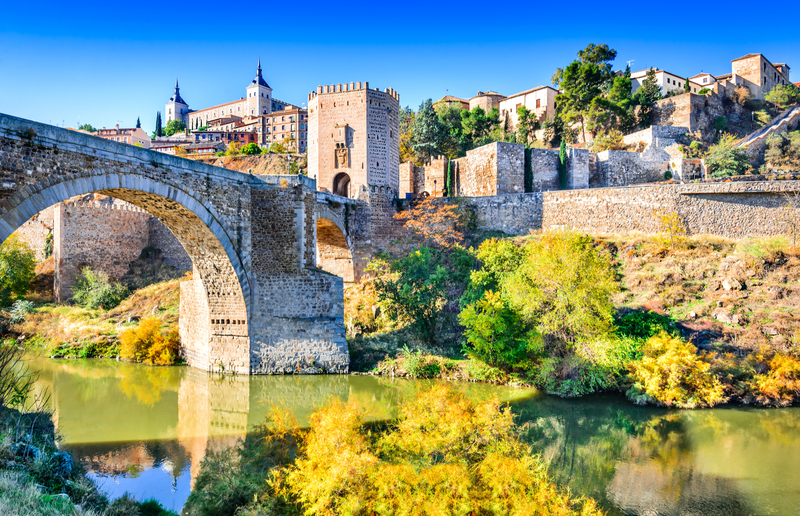 Set on a slope overlooking the Tagus river, with gates and walls around the centre and some remarkable buildings, Toledo begs to be looked at from many angles. If you’d like to look out over the rooftops, climb the tower of Iglesia de los Jesuitas or visit the library on the top floor of the Alcazar, a stone fortress, for two of the best vantage points. 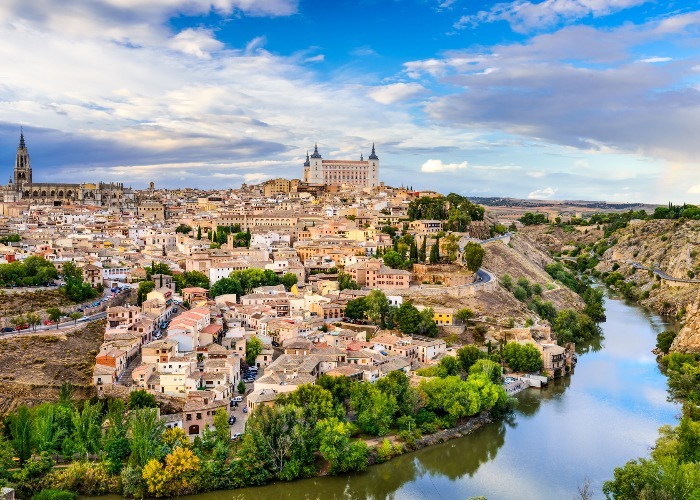 Alternatively, cross the river to the Mirador del Valle viewpoint or have a drink in the Parador de Toledo hotel to see the whole city sprawling out in front of you. If you’re short on time, pop out of the maze of central streets while you’re exploring to one of the many walkways and viewpoints overlooking the river. 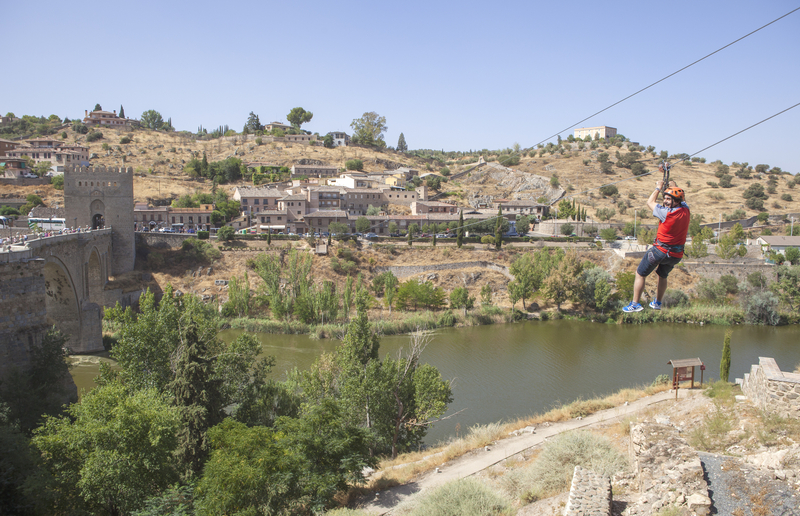 Forget about the city’s rich culture momentarily – well, for around 20-25 seconds – as you whizz across the Tagus river next to St Martin Bridge on the Fly Toledo zipwire. The experience costs €10 but, for the ultimate bragging rights or to relive your 20-second adrenaline rush, you can pay an extra €3 for a picture of yourself dangling mid-air. Not fully appreciated in his day, but rediscovered in the 20th century and now known for his distinctive elongated figures and dramatic use of colour, the artist El Greco lived in Toledo for much of his life. With renewed interest in his life and work, the Marquis de la Vega Inclan bought the remains of what he thought was the painter’s former home in the Jewish Quarter of the city and restored it. Opened in 1911, this is now the El Greco Museum. You’ll find collections of the artist’s work, including his “View and plan of Toledo” painting, as well as works of other 17th-century Spanish painters. Unfortunately, it turned out that this house wasn’t where El Greco actually lived – it’s thought to be in the square opposite. But it’s an interesting museum where you can learn a lot about the artist and see a recreation of his living quarters as well as a pretty garden. Other places in the city which house El Greco’s work include the Tavera Hospital, the Cathedral and the Church of Santo Tome.